On or after January 1, 2015, if you worked in California for the same employer for at least 30 days within a year, you will be entitled to paid sick days. 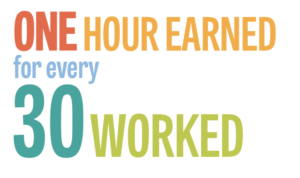 On or after July 1, 2015 or if hired after that day, on the first day of employment you will earn one hour for every 30 hours you work. You cannot use sick leave until you have worked at least 90 days for the employer. You do NOT need to find a replacement before you can use paid sick days. You can use up to 24 hours or three days of sick leave total in a year Unused sick leave can be carried over to the next year. You can use sick leave for your own or a family member’s health care needs or for specific purposes if you are victim of domestic violence, sexual assault, or stalking. IHSS Caregivers are entitled to paid sick days as of July 1, 2018. Some cities have municipal ordinances that provide paid sick time.